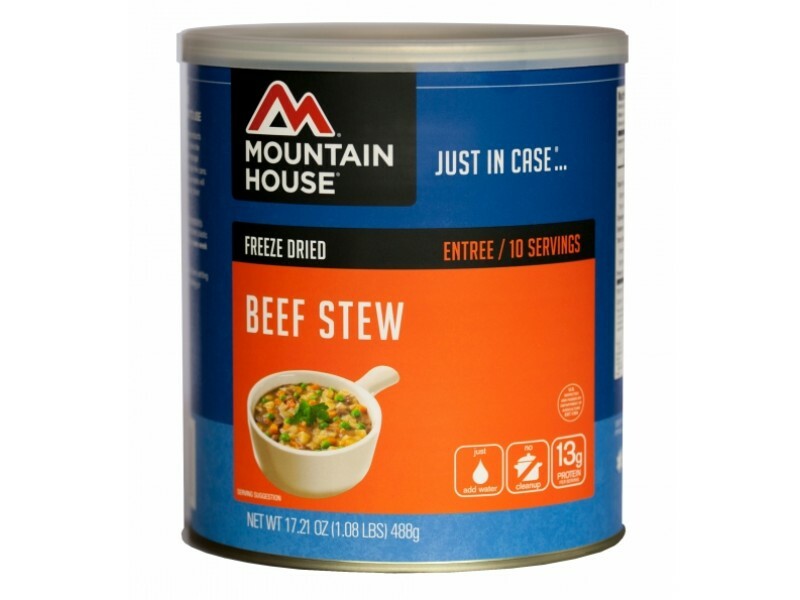 Mountain House Freeze Dried Beef Stew delivers a burst of homecooked flavor in a convenient, easy-to-make package. Just add hot water and you'll be all set to enjoy a comforting delicious beef stew. 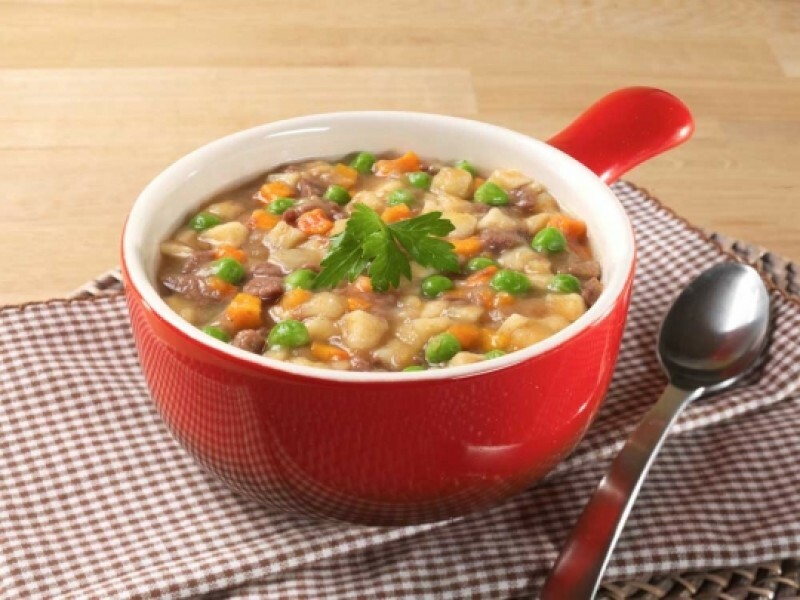 A blend of tender diced beef, carrots, peas and potatoes are sure to give you that warm, fuzzy feeling of satisfaction, even if you're in the snow , desert, the mountains or in an emergency situation. #10 Cans are great for your emergency food supply and have a 30 year shelf life. 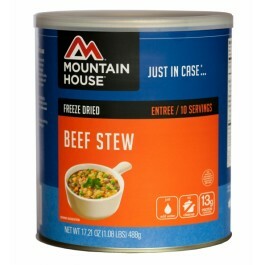 Beef Stew #10 can provides 10 Servings per can. 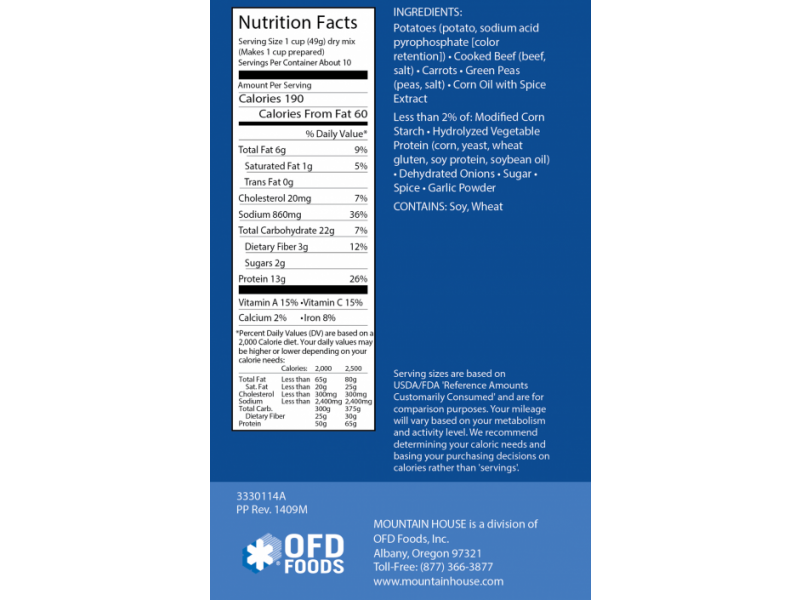 Mountain House Freeze dried foods has been the first choice for Backpacking and camping, as well as emergency and food storage needs. 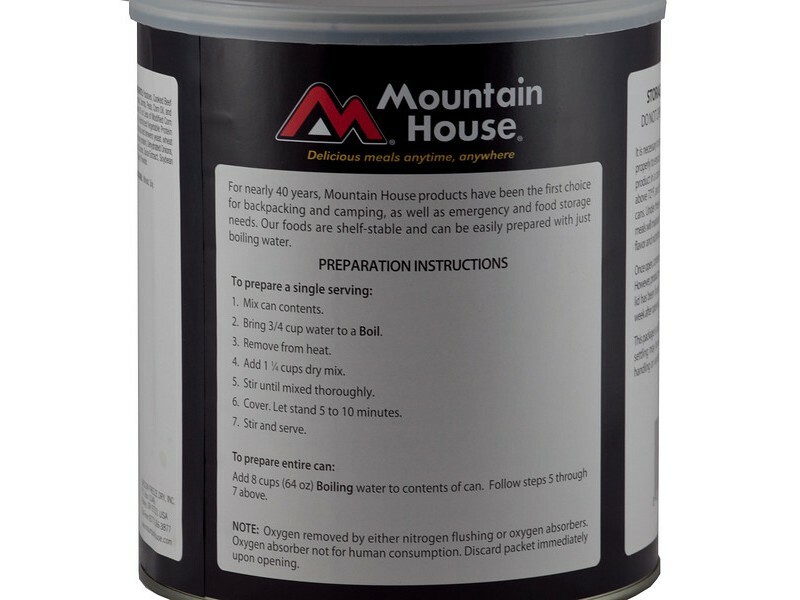 All Mountain House are shelf stable and can be easily prepared with just boiling water. 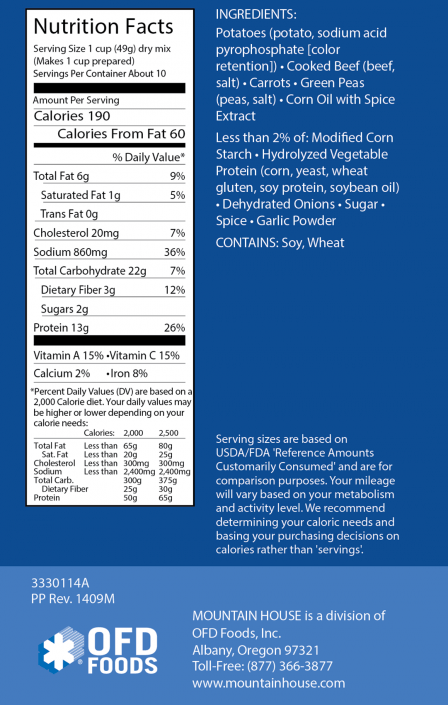 Each Freeze Dried Beef Stew #10 can contains 10 servings.